The player with the most number of goals at the end of the world cup is awarded the Golden Boot. England captain Harry Kane took home the award after scoring 6 goals in the group stages itself. With 3 penalties, 2 deflections and 1 header and no goals in the knockout stages, Kane will not be remembered as the most impressive player to take the award home. French forward Griezmann and Belgium striker Lukaku came second and third with 4 goals each; Griezmann edging Lukaku with more assists. Introduced in 1982, the Golden Ball is the award which every player vies to win. Awarded to the best player at the tournament, the Golden Ball is a stamp on your class and talent throughout the tournament. 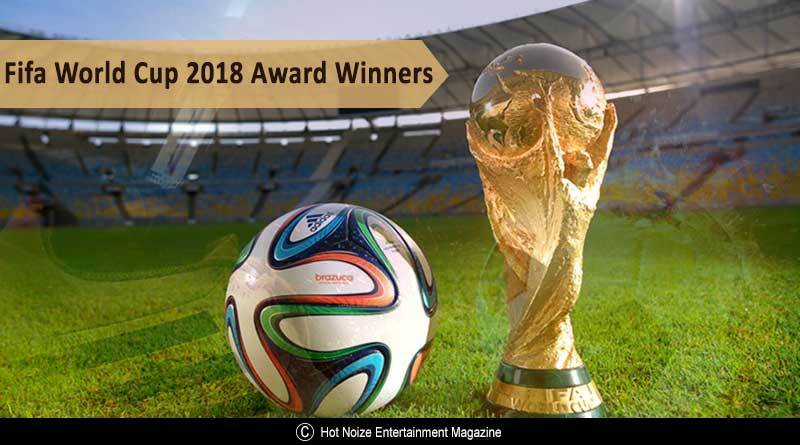 Billed as the biggest individual honour one can win at the world cup, the golden ball competition is as fierce as it gets. Runners-up Croatia’s Luka Modric took him the award after dazzling the world with his out of the world performances. A midfield maestro, he was the key of Croatia’s success this tournament, controlling their play every match. Belgium’s Hazard and France’s Griezmann came second and third in the running. Belgium’s Thibaut Courtois was given the top honour among goal-keepers. Awarded for the best goal-keeping all world cup, the golden glove is given to the keeper who made not only the best saves but was also crucial to organising his team’s defence and distributing the ball well. The Fair Play Award is handed to the team which boasts of the best disciplinary record and is selected by the FIFA Technical Study Group. Despite having an average tournament, exiting in the quarter-finals, Spain managed to win this award. FIFA’s Young Player award recognises the impact made by young footballers in the competition. Factors like skill, talent, maturity to read the game and lead from the front, fair play and knowledge of the game and tactical nuance along with ability to take pressure are put into consideration when deciding the winner. And this year there was no one other than French striker Kylian Mbappé who deserved the award more. The striker burned experienced teams and defenders with his pace, shooting and skill, breaking a streak of records in the process, along with becoming only the second teenager to score in a world cup final.